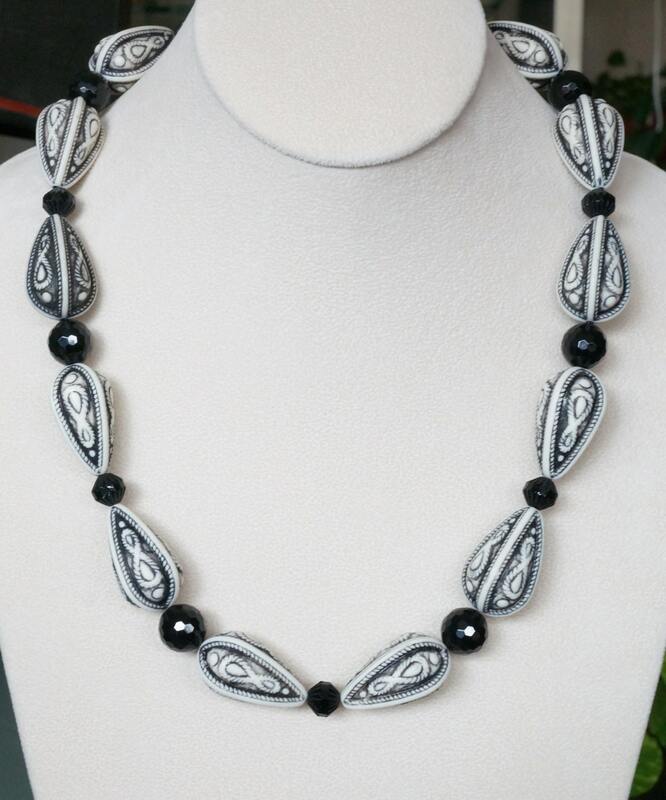 Here you have a chunky vintage style necklace. 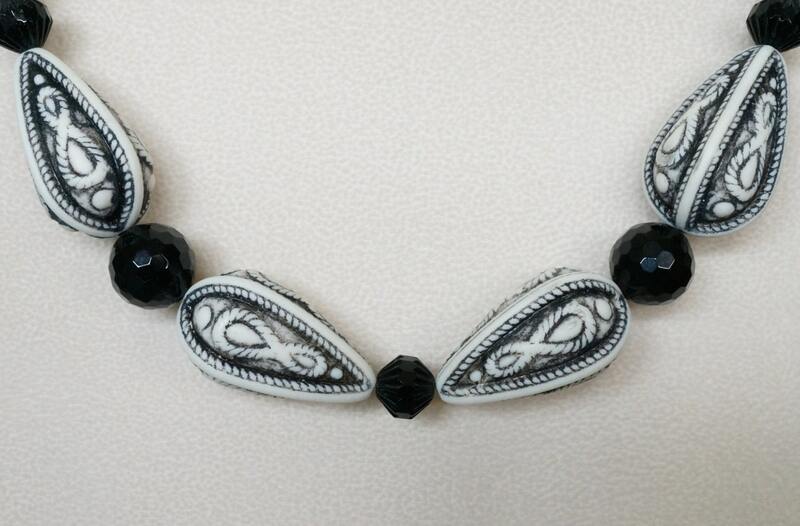 It's made with the vintage white and black resin beads. I also incorporated the use of faceted onyx rounds, and Czech black rondelles. 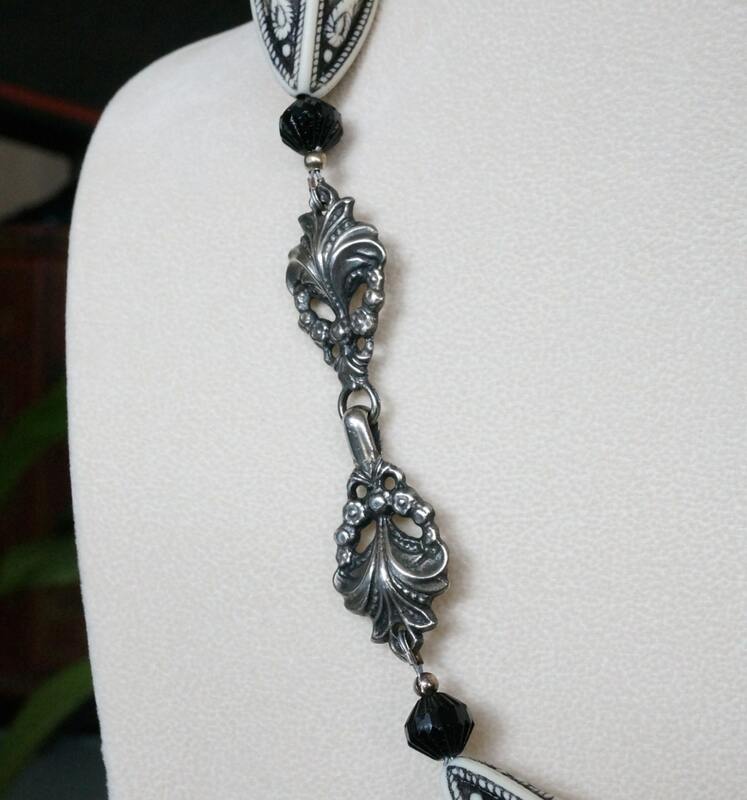 The clasp looks Victorian, with a fleur de lis design, and in oxidized silver. That makes it look vintage. The length is 22 inches. The large beads are not heavy.